News Update #19 & Project Status Report! Project status report – please read – important!! 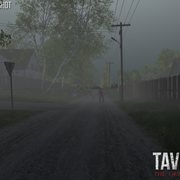 It has now been approximately 10 months since we announced our standalone game, Taviana The Origins. Since then we have been working like mad making the game become a reality thanks to the donations that you have been sending us, without which this would not be possible at all, and for which we are tremendously grateful! We have gone through a lot since January, from learning to program a brand new game engine, to completely redesigning the map landscape. 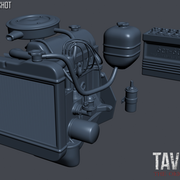 We have made hundreds of unique models and hired dozens of very talented people to make them; we have even gone through a rebranding of the project. However, success doesn’t come without its pitfalls and we have experienced some setbacks. Our lead programmer was ill for some time and we have fallen back a little bit in the programming department, ironically we have made so many models that we haven’t had the time to place them all on the map yet, but there is always a second side to every coin and we are way more ahead in some areas than we anticipated, for example we are nearly finished modelling the good old Scrap Buggy, even though we originally planned no to have vehicles in the early access version. We are still aiming to begin testing with the Patrons by the end of the year and to release the game this winter, although it may be a few months later than we originally anticipated. 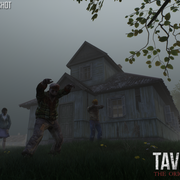 We wish you all a happy Halloween, thank you for your support once again, we’re gonna get back to work and remember, if you’d like to support us, please consider becoming a Patron and receive all kinds of goodies, including a beta testing key, or just share our posts with as many people as you can!